Can A Psychic Really Read Minds? It’s long been debated whether those who call themselves psychic are truly psychic at all. While many have been debunked or simply aren’t that convincing, others seem to have some gift that is difficult to ignore. Many so-called psychics use the powers of observation over true mental ability. For about ten years, the James Randi Educational Foundation had an open challenge that promised one million dollars to any person who could prove their psychic abilities under certain, controlled conditions. No one has passed the preliminary part of the test and the foundation has since dissolved the challenge. James Randi is well-known for his life of debunking supernatural claims. While his work has exposed many phonies over the years, the Million Dollar Challenge has its own issues. Why haven’t some of the world’s most notable psychics accepted this challenge? Some would argue that their abilities depend on a number of factors and that they are not able to always turn their abilities on or off, that it “just happens.” The requirements of the Million Dollar Challenge do not take into account a psychic’s specialty. Some seem to get visions of a crime and details to the whereabouts of a body or certain other evidence, but they rarely claim to know everything about the crime from beginning to end or even who the perpetrator was. Many psychics claim to get visions in bits and pieces, much like a flash of scenes from a movie that come and go. There have been many instances where police departments have enlisted the help of psychics in solving difficult crimes as a last resort. When looking a little closer to the methods of these psychics, one can see a pattern of retrofitting that can be quite convincing. Often these psychics will use vague details of their visions, such as claiming they see a body of water or field near the body of a murder victim or a number associated with the scene. Once the body is found, it can be easy to tie these details into the crime in very tenuous ways. If the area has lots of lakes and streams, or large farming fields, it’s a pretty safe bet that a body isn’t too far from one. Claiming the significance of a number to the area, such as the number 5, can be attributed to a highway sign, or how many miles from a well-known landmark a body has been found. The details can be interpreted in many different ways. Psychics who claim to read minds use different methods for their practices. Telepathy is believed to be the ability to communicate thoughts from one person to another without any outside influence. 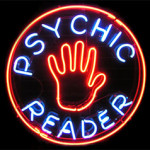 Other psychics insist they must hold an object of the person they are reading. This method is known as psychometry. The claim is that the object holds the energy of that person and thus gives the psychic visions about the person that may be significant. Extra Sensory Perception, or ESP, has long been viewed by the scientific community with great skepticism and countless experiments and trials have been conducted with no convincing or conclusive results. Closer scrutiny of psychics claiming to have helped police solve crimes show inconsistencies in the stories of all involved in the case. The mind is still a great mystery and the full extent of its abilities may never truly be understood. The very similar lives of twins who live unaware of the other seems to support the notion that ESP is not something to completely disregard. Perhaps learning more about this type of relationship will open the door to more psychic understanding. 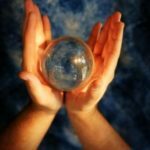 Despite all the tests and experiments that have been conducted over many years, there still remain those few instances when psychic claims cannot be easily dismissed. Almost anyone can recall a time when they sensed something wrong with a family member only to later discover that person fell ill or even died. How do we explain knowing something about someone else who may be hundreds of miles away? We may never know. 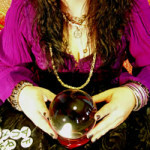 What Is an E-Mail Psychic Reading?